Will the Commonwealth elect such a person as leader? For several weeks, Caribbean News Now has been aware that a smear campaign in the British press was being planned against Sir Ronald Sanders, Antigua and Barbuda's nominee for the post of Commonwealth secretary-general at elections on Friday at the Commonwealth Summit in Malta. Sure enough, the malicious publication by the UK's Daily Telegraphnewspaper of a story repeating unsubstantiated hearsay, rumour and conjecture, timed for two days before the election, is clearly designed to affect Sir Ronald's chances. He was a clear front-runner in the contest, which included British baroness and sitting member of the House of Lords, Patricia Scotland. 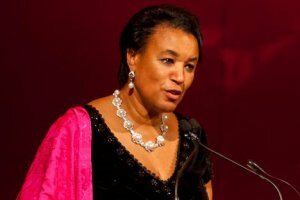 Baroness Scotland, then UK attorney general, was placed under investigation by Britain's Home Office after she admitted employing an illegal immigrant as her housekeeper. She was then prosecuted under a law that she helped steer through parliament and which clearly states that “unknowingly” employing illegal workers is no defence in itself. She could face a fine of up to £10,000 if convicted, the Telegraph pointed out. The Telegraph later reported that Scotland was “fined £5,000 over illegal immigrant housekeeper”. However, if the Telegraph can report in 2009 that, “if convicted”, she faced a fine of up to £10,000 and she was in the event fined £5,000, does that not lead to the inescapable conclusion that she was in fact “convicted”? Further, Baroness Scotland had a previous conviction for careless driving, the Daily Telegraph later disclosed. To have a “previous conviction” one must of necessity have a subsequent conviction, namely that which resulted in the fine of £5,000 for employing an illegal immigrant housekeeper. Please explain and clarify the legal process in Britain, where you assert that being fined for a breach of the law is not a “conviction”. What should it be characterised as? Further, have you demanded that the Criminal Law and Justice Weekly remove its reference to Baroness Scotland's "recent criminal conviction" as being “highly defamatory”? Have you demanded that the BBC and The Independent remove their references to Baroness Scotland "breaking the law" or required the Telegraph to remove its reference to her "previous conviction" in the context of what you assert as her “technical breach” of the law? Have you required John Quigley, a partner at William Sturges & Co. to remove his critique of Baroness Scotland's claim of a "technical breach" of the law as being meaningless and having no validity in law? Have you demanded that the Daily Mail remove its story headlined “BARONESS SHAMELESS” about the same hitherto unknown legal concept of a “technical breach” of the law? If you have not made such demands, we can only assume that you and by extension Baroness Scotland are in reality seeking to intimidate and terrorise us as a small Caribbean regional publication since our recent references to these still extant statements now become inconvenient to Baroness Scotland's campaign for the position of Commonwealth secretary general and not because they were or are defamatory when published by better known publications or at all. No response was ever received. In contrast to Baroness Scotland's actual criminal history, which for the benefit of her lawyers means “relating to unlawful acts or their punishment”, Sir Ronald Sanders has never been convicted, charged or even questioned in relation to any alleged criminal activity. Nevertheless, a discredited report written in 2009 and rejected outright by the Director of Public Prosecutions (DPP) in Antigua is now being peddled by the British media with exquisite and malicious timing on the eve of the Commonwealth election. In furtherance of the Scotland smear campaign against Sanders, even though the Telegraph was compelled to reveal that Sir Ronald had been completely exonerated at the outset by the competent legal authorities in Antigua, the Telegraph “journalist” nevertheless published sections of the rejected and discredited report. Sanders' lawyers told the Telegraph “it is a matter of profound concern” that the story is being published at a time when Sir Ronald is standing for election for the position of Commonwealth secretary-general. The prime minister of Antigua and Barbuda, Gaston Browne, said that he had been made aware that the smear campaign was being planned. He emphasized that the newspaper story is part of a deliberate and malicious smear campaign by persons with a vested interest in the election. In conclusion, on the one hand, we have Sir Ronald Sanders, a genuine Caribbean candidate for the post of Commonwealth secretary general, who has never been convicted, charged or even questioned in relation to any alleged criminal activity. • Engaged in a thoroughly reprehensible and despicable smear campaign against one of her fellow candidates based on false and discredited hearsay, rumour and conjecture. This, in our opinion, speaks volumes as to her real character rather than the public persona she would like to present. Will the Commonwealth heads of government really elect such a person as its next leader?